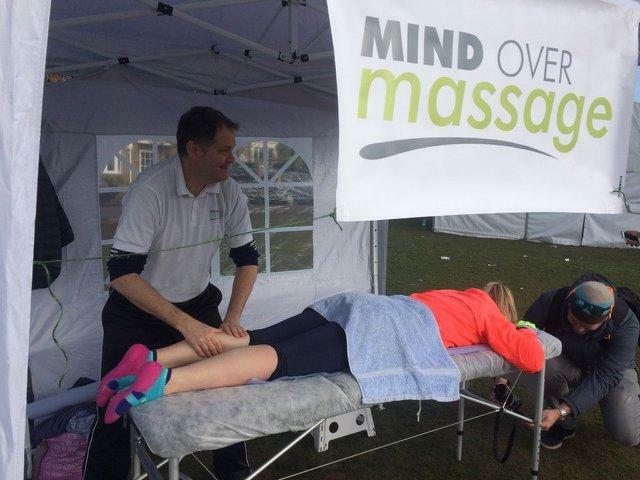 Mind Over Massage is a Mobile and clinic based massage clinic run by therapist Bernie Howley. Bernie has qualified at St Mary's University Twickenham in ITEC, Level 3 Body Massage and Level 4 Sports Massage. 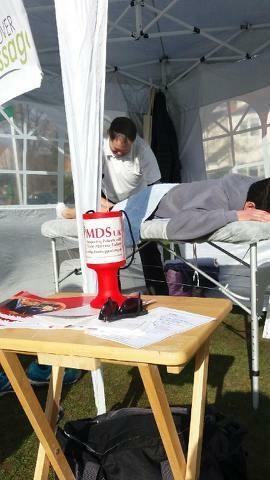 For the second year in a row, Bernie fundraised for MDS UK Patient Support Group at Hampton Court Half Marathon! For us, as a small charity, it is a dream to get fundraisers with such a generous heart. Bernie not only raised money, but made people aware of MDS. This is particularly important for rare conditions which are totally unknown amongst the general population. Donations are still coming in as Bernie's collection will take place all year long! 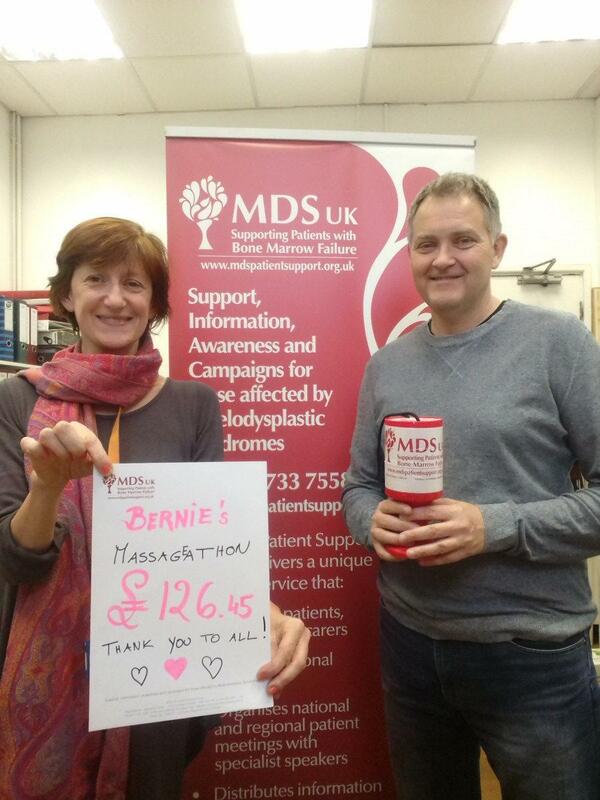 We are immensely grateful to Bernie, and all his friends and sponsors. All the money raised will go to ensure that MDS patients and families receive the attention and information they need during those particularly difficult times – straight after diagnosis, at treatment changes, time of transplant or progression of the condition. We would love it if you could help us raise funds and awareness! Shop online & raise free funds! Can You Help Us Raise Funds?